As I've mentioned, I'm really into loafers at the moment, and I am totally in love with these rose gold Emiline loafers from Naturalizer. I got them on sale at Shoes.com — which, if anyone is looking for a deal, is currently having a 25% off sale with free shipping on every order. 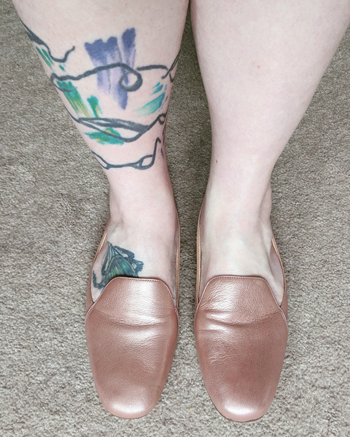 Because I am so pale with pink undertones, a rose gold works really well for me as a "neutral" shoe, so I was really glad to snag these while rose gold is popular again.